Product categories of Steering System, we are specialized manufacturers from China, Steering System, Steering Rack suppliers/factory, wholesale high-quality products of Steering Column R & D and manufacturing, we have the perfect after-sales service and technical support. Look forward to your cooperation! A series of devices used to change or keep a car moving or backward is called a car Steering System. The function of the steering system is to control the driving direction of the vehicle according to the wishes of the driver. Car steering system is very important to the safety of vehicle, so the auto parts of steering system are called security parts. Automobile steering system and Braking System are two systems that must be paid attention to in automobile safety. 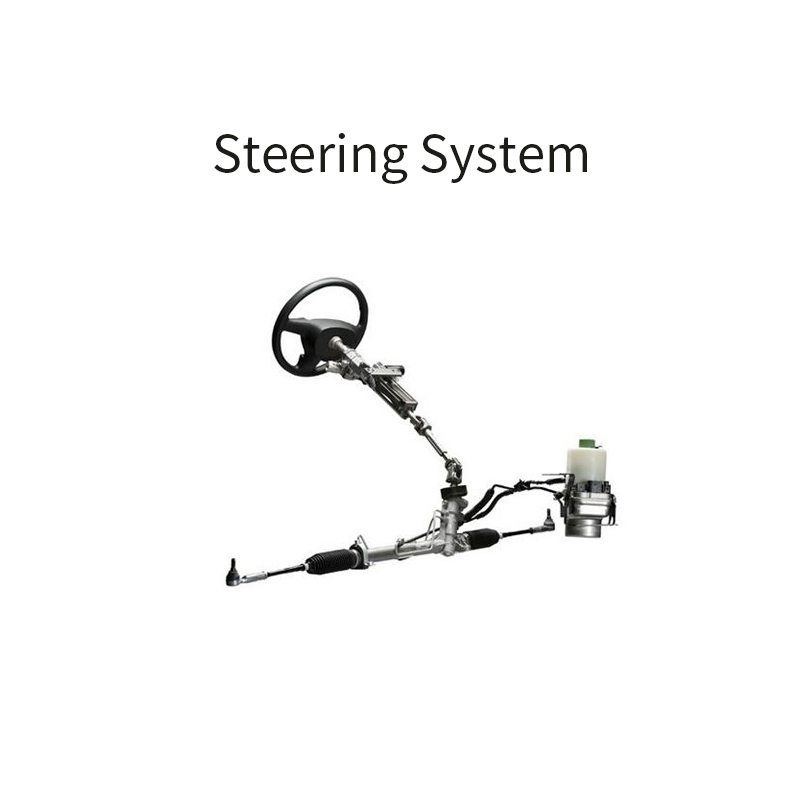 Automotive steering system is divided into two categories: mechanical steering system and Power Steering system. The steering system, which is entirely controlled by the driver's hand force, is called a mechanical steering system. The steering system manipulated by force is called the power steering system. Power steering system can be divided into hydraulic power steering system and electric power steering system, as well as pneumatic power steering system.